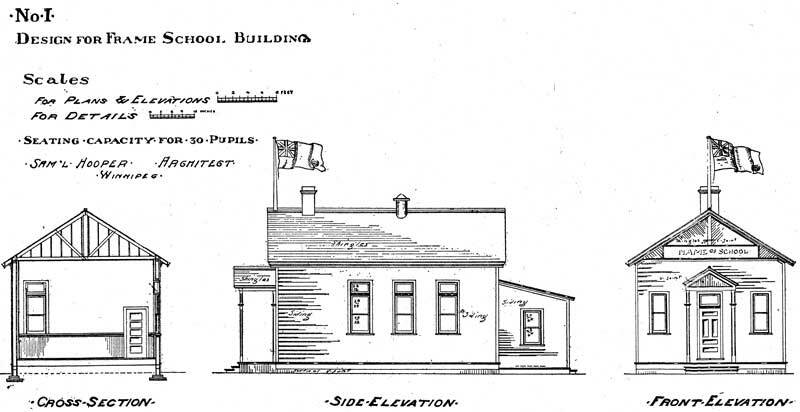 In 1903, the Manitoba provincial government published a guide book to provide the trustees for the rural school districts around the province with information and specifications for the design and operation of schools. 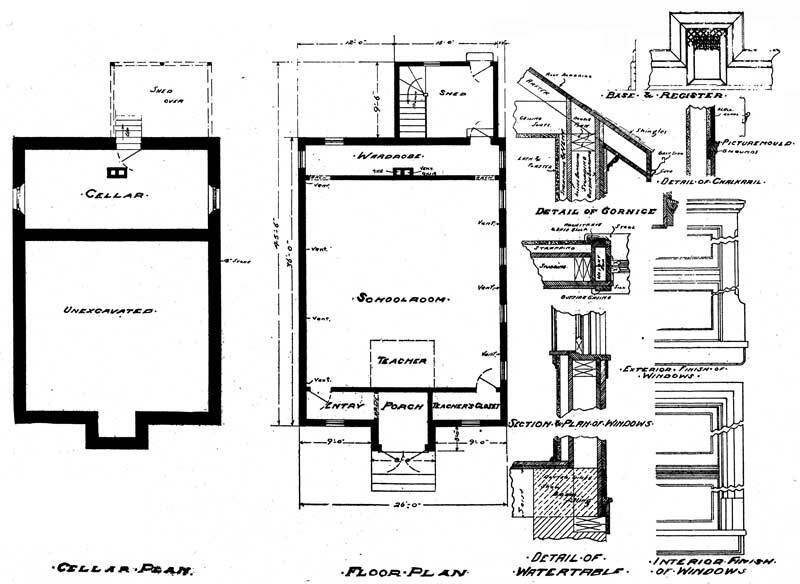 A wood shed and place for storing storm sashes should be included. 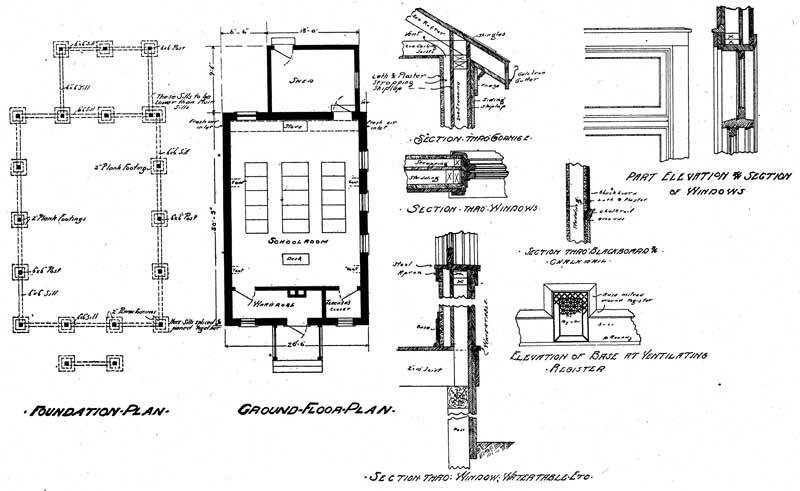 The T. Eaton Company, a major Canadian department store based in Ontario, prided itself on the breadth of its merchandise that could be sold and shipped to customers in remote locations. 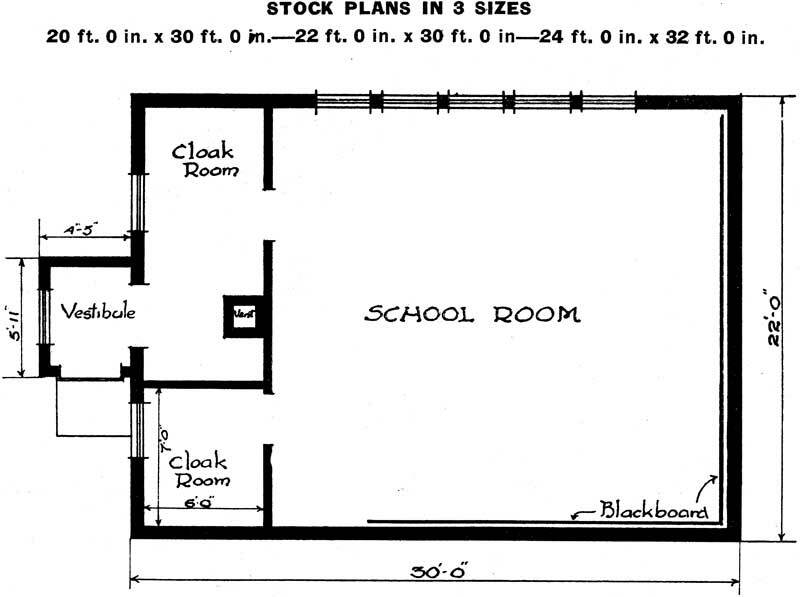 Among the items were prefabricated buildings, including schools. 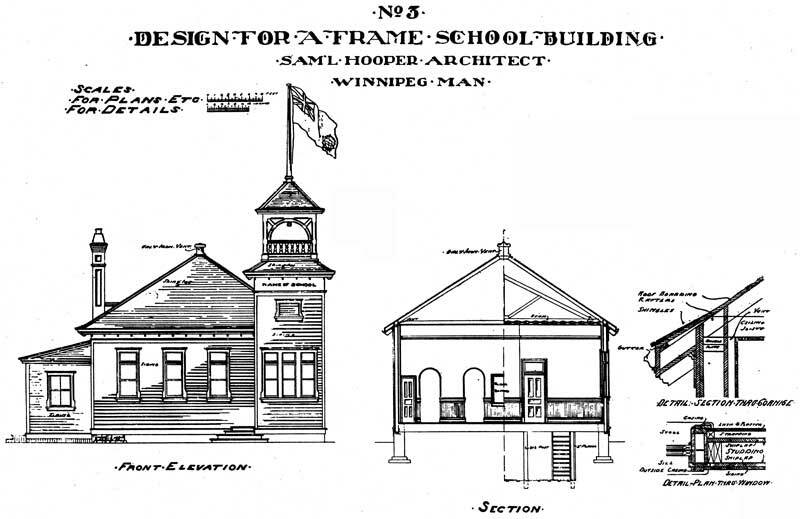 It is not known how many, if any, rural schools in Manitoba were purchased from Eatons but a number of buildings surviving into the 21st century have designs that resemble it closely. 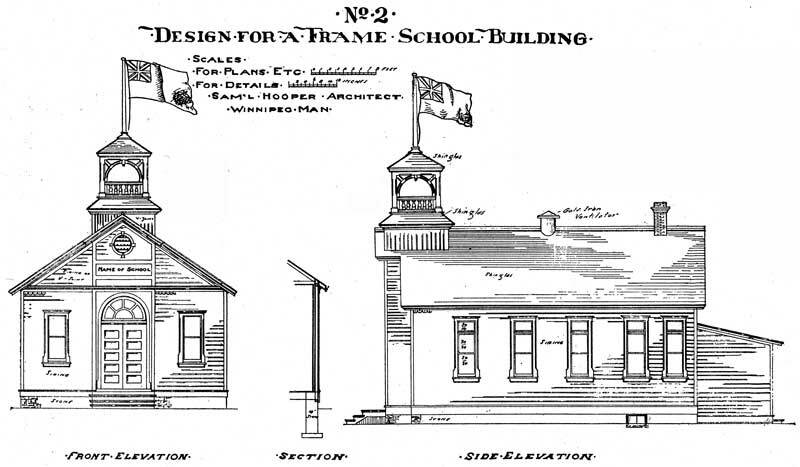 Plans and Specifications for Rural Schools: Suggestions for the Planning and Decoration of School Grounds, 1903. 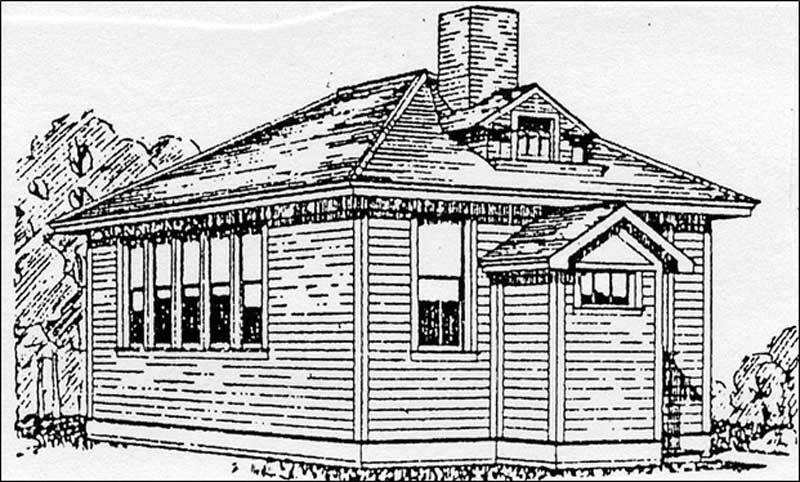 Manitoba Legislative Library.